Maulana Azad Medical College (MAMC) is a government medical college which is in affiliation to University of Delhi, India. It was established in 1958. The university has been named after the Indian freedom fighter as well as India’s first education minister, Maulana Abdul Kalam Azad. It is located in New Delhi, India and is ranked the 3rd best medical university in India. From day one MAMC starts providing their students with clinical experience of what they are being taught through the universities affiliated hospitals. Their goal is not only to make doctors but to provide passionate doctors to the country whose first priority is always the patients’ health. MAMC helps students identify which medical field they will best excel at and help reach their full potential. 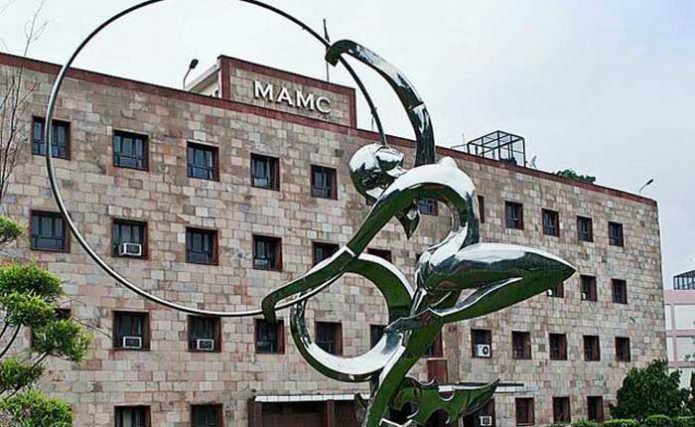 Students applying for MAMC should qualify for National Eligibility Entrance Test (NEET) in which students should score 50% aggregate and 40% in case of SC, ST or OBC. Candidates must have completed 17 years of education and should be Indian National. The upper age limit for all candidates is 25 except for candidates that belong to SC/ ST/ OBC. Candidates should have appeared and passed in examination of Chemistry, English, Physics and Bio technology/ Biology in 11th and 12th year of their education. Candidates who appeared for their 12 class examination through open learning are not eligible. Only black or blue pens are to be used in the examination. For every correct answer +4 marks will be awarded and for every incorrect answer -1 mark will be awarded. Maximum marks that can be obtained are 720. When the student has appeared and cleared the NEET test then the merit list is prepared by the Faculty of Medicine and Sciences, Delhi University. After the merit list is prepared and still some seats are vacant only then Delhi NCR candidates and candidates outside Delhi are considered by the panel. It is affiliated with the University of Delhi. GB Pant Institute of Postgraduate Medical Education & Research. Maulana Azad Institute of Dental sciences and Guru Nanak Eye Center. The campus is a beautiful building with every facility imaginable to the students, from library to top notch hostel facilities as well as sports facilities. The campus also provides the best PHD professors and many other various methods of learning. MAMC provides state of the art hostels for undergraduates and postgraduates. For undergraduate students girls and boys have separate hostels and good management and cleaning is always their top priority. MAMC’s library has an estimate of 32,900 books related to Neuroanatomy, Biochemistry, Pharmacy, and other Biomedical sciences. Every year students are allowed to recommend the books they desire for the library and out of those books the ones that are cleared by the administration are brought in on the month of February each year. Apart from the wide range of books the library also consists of 33,600 back volumes, 170 current journals of international authors, a collection of 3000 thesis and research works by PHD professors, 200 slides containing many medical science topics and 650 CDs of different books as well as journals. The library also consists of a reading room on the first floor which is ideal for studying and is also air conditioned and a good place to relax after a hectic day of studies. The computer lab is also located inside the library. MAMC’s library has provided a vast variety of knowledge to the students through different ways. However, there are times when a student simply fails to grasp a certain concept no matter how good the teacher is or how many resources the student has. For such difficult times God has blessed us with an amazing jewel of a person, Dr. Najeeb. He is considered one of the greatest online medical teacher with more than 700 videos related to Anatomy, Neuroantomy, Pharmacy, Biochemistry, Genetics, Immunology, Microbiology, Physiology, Embryology, Pharmacology and Pathology. Why Dr. Najeeb? Now you must be wondering why only Dr. Najeeb and that is because he teaches medicine like an interesting story, interlinking all medical fields with each other and giving different hints on how to remember certain concepts and what is most important for certain examinations. For more information you can visit Dr. najeeb lectures. Along with providing the best medical education to their students, MAMC also has various sports activities and facilities going on around the campus to keep the students active, fit and healthy. There is also a multifunctional weight training gym, Floodlit volleyball court, Floodlit basketball and tennis courts, Table tennis, Badminton, Cricket ground, Swimming pool, Football ground and a Racing track as well. The university has different canteens and cafeterias for staff and students throughout the campus. There is a 24 hours doctor’s canteen which serves delicious South and North Indian food to everyone. Then there is a restaurant located in the campus, known as Indian Coffee House (ICT) which is a great hangout spot for students and teachers after a hectic day at work. Then for every department there are canteens scattered throughout the campus where one can find fast food as well as junk food. The food facilities at the different hostels mentioned earlier are also top notch. Every hostel has a mess where meals are served 3 times a day at fixed times, however, day scholars can eat as guests whenever they require food. As many students live in hostels so a branch of Syndicate Bank has been opened on-campus to provide all banking facilities to students and staff. MAMC has also opened up a general store on-campus which has all the basic necessities a student needs and much more. Tooth brushes, lab coats and snacks can be purchased from the store. Along with this the store has a wide variety of medical books which are in the curriculum of MAMC for the convenience of students. MAMC provides state of the art basic necessities and leisure time activities to its students. Along with all this they also pay great emphasis on learning facilities of the students, keeping their aim of developing a passion for learning amongst students so that they never cease to grow. Due to MAMC’s affiliation with various hospitals they have the best place for learning and practice, with 2800 beds, 47 operation theaters, 7200 outpatient attendance on a daily basis. They also cater 290 undergraduate students and 245 postgraduate students per year. The faculty consists of 426 members and 810 resident doctors. Along with the best faculty and practice MAMC has state of art lecture rooms, computer labs, Pathology labs, Microbiology labs, Physiology labs, and other department labs. The lecture rooms are air conditioned and well equipped with modern equipment. There is also an auditorium which is air conditioned, has plush seats, theater lighting, projectors, microphones and other equipment that is needed.